Although the European Union and US claim to promote polices of human rights and the protection of national minorities, there are clear double standards. The West demands that Serbia observe the strictest respect for minority rights. In fact, it demands much more than that. At the same time, however, the West, and especially the US, encourage discrimination against Serbs outside of Serbia. In Bosnia and Herzegovina, the latest census results showed that Serbs have almost disappeared from the Federation of BIH. 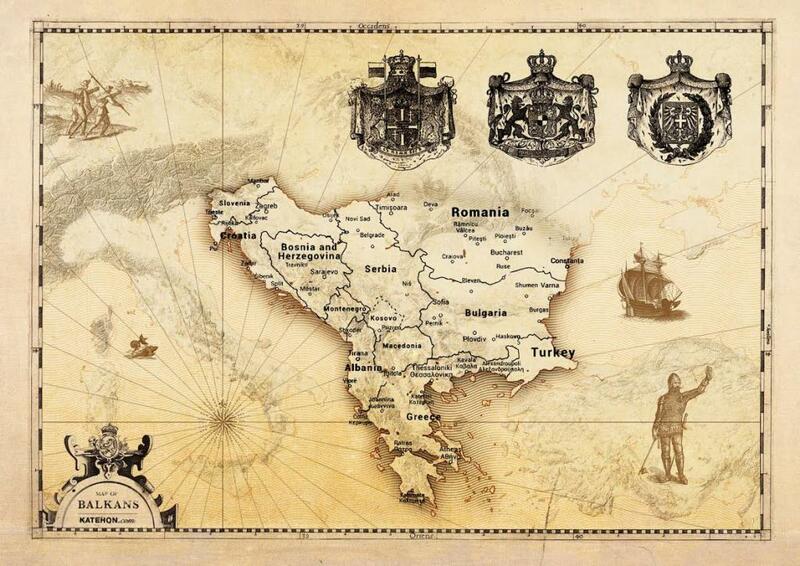 According to the census, there are 56,500 Serbs in the Federation today, while before the war there were 600,000. 150,000 Serbs lived in the capital of Sarajevo alone before the war. An absolute minimal number of Serbs are employed in the Federation’s institutions and the constitutional provision on proportional representation is not respected. According to the official data of Federation institutions, out of the total number of state servants, 66.54% are Bosniaks, Croats make up 26.19%, and only 4.26% are Serbs. What’s more, attacks on Republika Srpska have intensified over the course of 2016. Republika Srpska is being denied the right to its own state holiday and Bosniak and Croat religious leaders have sharply attacked Republika Srpska both directly and indirectly. In Slovenia, Serbs are the largest ethnic group after Slovenes. Officially, Serbs make up 2% of the Slovenian population. However, in 1992, Slovenia deleted almost 23,000 Serbs from the registry of citizens. Some of them, thanks to complaints submitted to the European court of Human Rights in Strasbourg, have resolved their status and achieved determined compensation. But most of them have not yet resolved this issue and it is uncertain that they will ever succeed. As is well known, obtaining the status of a national minority would mean a lot to Serbs in Slovenia. Serbs would have guaranteed parliamentary seats, the right to learn the Serbian language in schools, funding from the budget of Slovenia, and presence on state television through programs in Serbian. Data from the Macedonian census of 2002 shows that perfidious policies have reduced the number of Serbs from 50,000 to about 37,000 Serbs. According to some estimates, from 150-200,000 Serbs live in Macedonia, but they are pressured into not declaring themselves to be Serbs. One of the few positive points is that the Archbishop Jovan of Ohrid has been released. This is the most significant shift in Macedonia towards the Serbian Orthodox Church. Open discrimination against Serbs prevails in Croatia. Even when the government was left-wing oriented, the SDP also violated Serbs’ rights. But since the HDZ came to power, the repression has been even more aggressive. An increase in ethnic violence in Croatia has been recorded in the past year. In 2015, there were 189 such cases, while in 2014 there were only 82. According to the report of the Croatian Ombudsman, there is “prevailing animosity towards Serbs.” Nazi-fascist and Ustasha movements have witnessed a comeback, even in front of the eyes of the West. The Ustasha movement was the main ally of Hitler in the Balkans that committed genocide against the Serbs. And the new Croatian state, which was created after the breakup of Yugoslavia, is an heir to the Ustasha’s legacy. The Croats have burned 3 million Serbian books as Cyrillic was proclaimed to be the “Devil’s letter” while Croatia has endeavored to commit culturcide in Europe even after the Second World War. In Albania, Serbs have almost no rights. They lack newspapers in Serbian, TV programs for Serbs, and international conventions on minorities are not respected. Serbs in Albania are still waiting for a law on national minorities, while more than 100,000 are “missing” from the registers in Tirana. According to the census from 2011, Albania officially has 155 Serbs. However, according to some estimates, in Shkodra alone (a city in northern Albania), there are 30,000 Serbs. Article 20 of the census law, according to which a $1000 fine will be imposed on anyone who declares an ethnicity other than what is stated on their birth certificate, is clearly an attempt to intimidate minorities into declaring Albanian ethnicity. In Montenegro, the brutal assimilation of Serbs is a fact. 18 years ago, Milo Djukanovic began to implement a chauvinist program. Although Serbs officially make up a third of the population of Montenegro, they are extremely underrepresented in state institutions. According to official data, not a single Serb is employed in the Ministry of Science, Ministry of Labor and Social Welfare, the Ministry of Foreign Affairs, or in the service of President of Montenegro. In the police, the total number of employed Serbs makes up 6.6%. What’s more, Djukanovic tried to remove the Serbian Orthodox Church with a new law on religious communities, which is the main goal of Atlanticists in Montenegro, but Djukanovic withdrew the project following strong resistance displayed by the people. Taking into account all of the above, the main question is: What is Serbia and its Prime Minister Aleksandar Vucic doing to protect Serbs in the region? Unfortunately, nothing. Vucic can respond through a wide variety of ways, but he never seizes the opportunity. Vucic is pursuing a policy of “reconciliation” which, translated, means that he is not interested in the situation of Serbs in the Balkans. Approximately 1.8 million Serbs in the region are thus left to fight on their own. Serbian church and three more Orthodox temples were set on fire deliberately?